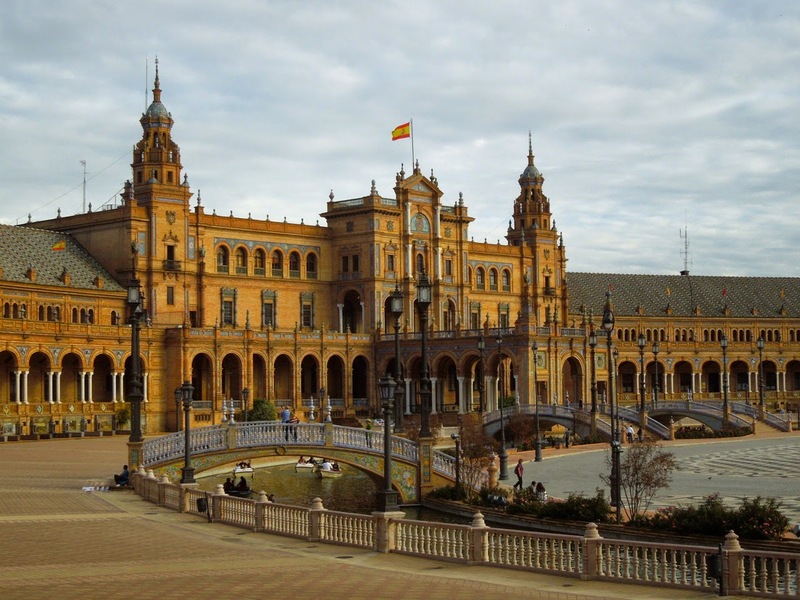 Why don't we have World's Fairs anymore? They provided us with some of the worlds great monuments such as the Eiffel Tower and the entire City Beautiful movement. If you have any Beaux-Arts styled buildings in your city or town, such as a courthouse, museum, or townhall, you can thank the World's Fair movement! I saw an exhibit on that at the National Building museum a few years ago and it was really an eye opening experience (read more about that and how it influenced modernism HERE). 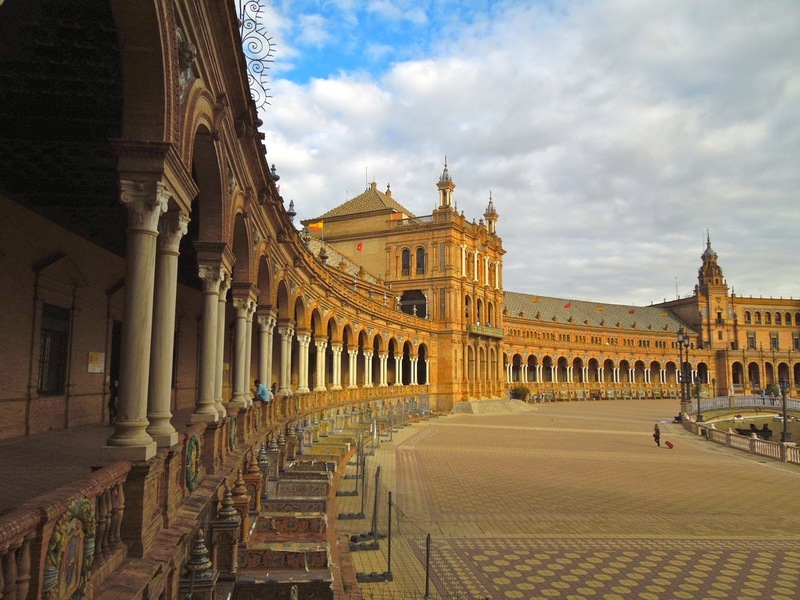 Recently I was sent photographs of the Plaza de España in Seville, which was the centerpiece of the Ibero-American Exhibition of 1929, by my Australian Penpal which really took my breath away. 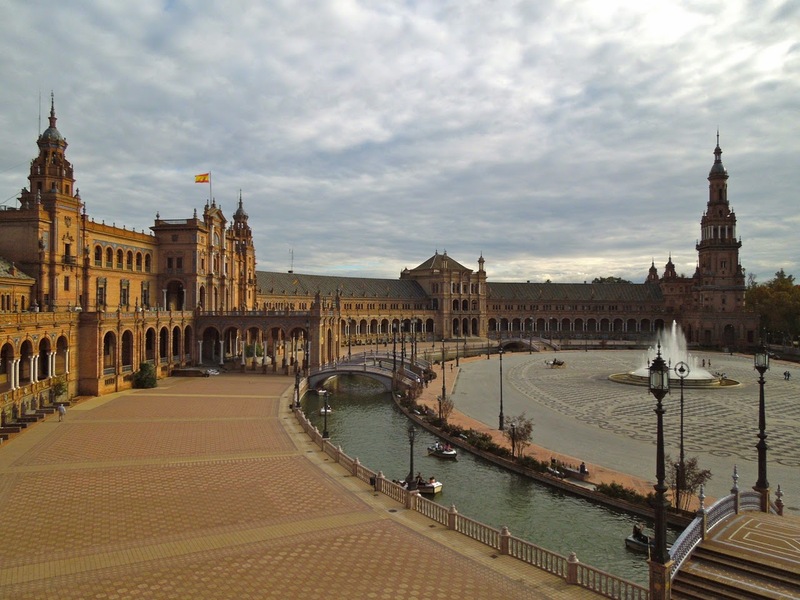 This enormous plaza designed by Jean-Claude Nicolas Forestier contains fountains and a Venetian-style lazy river complete with boat rides, surrounded by a semi-circular building which now houses government offices. 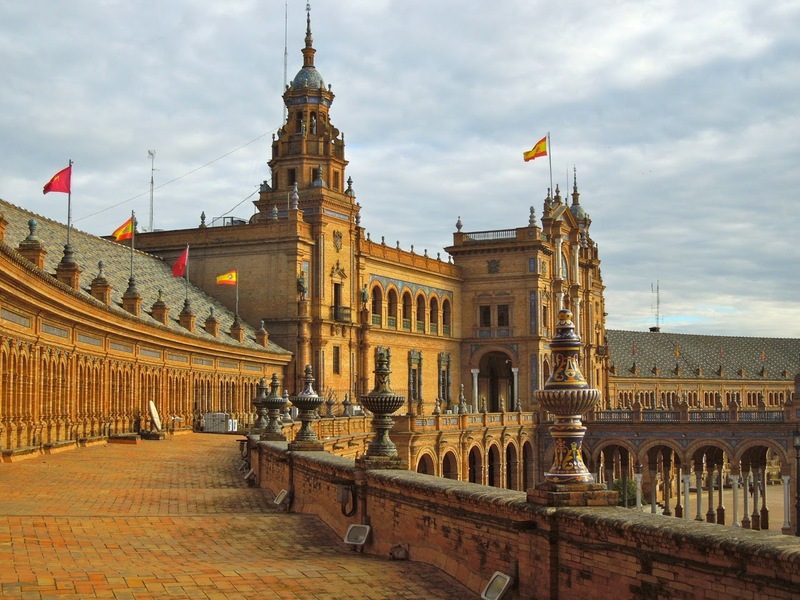 At the base of the building designed by architect Anibal Gonzalez which surrounds the plaza are 48 alcoves which represent the provinces of Spain, seen in the image above. These have provided great photography fodder with Spanish tourists posing in front of the alcove representing their home province. 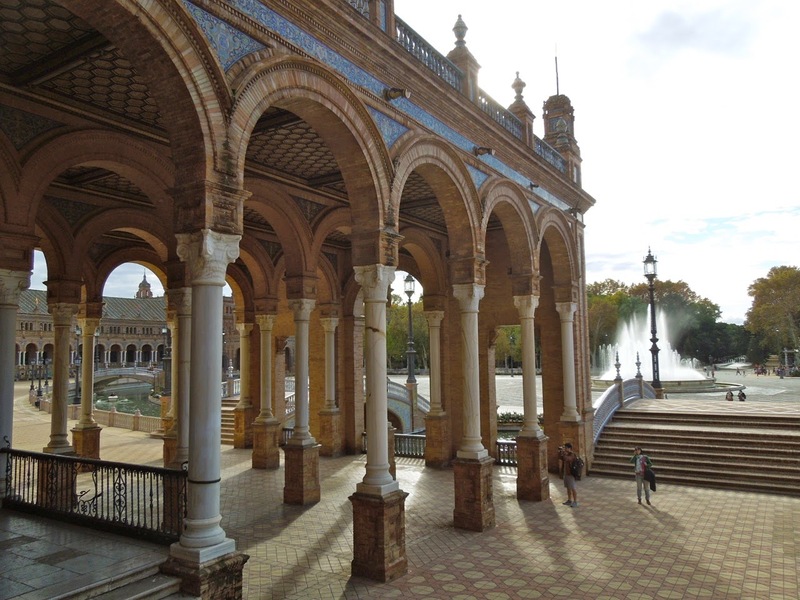 This grand entry loggia leads one into the center of the main building and provides a shady respite from the harsh Spanish sun. 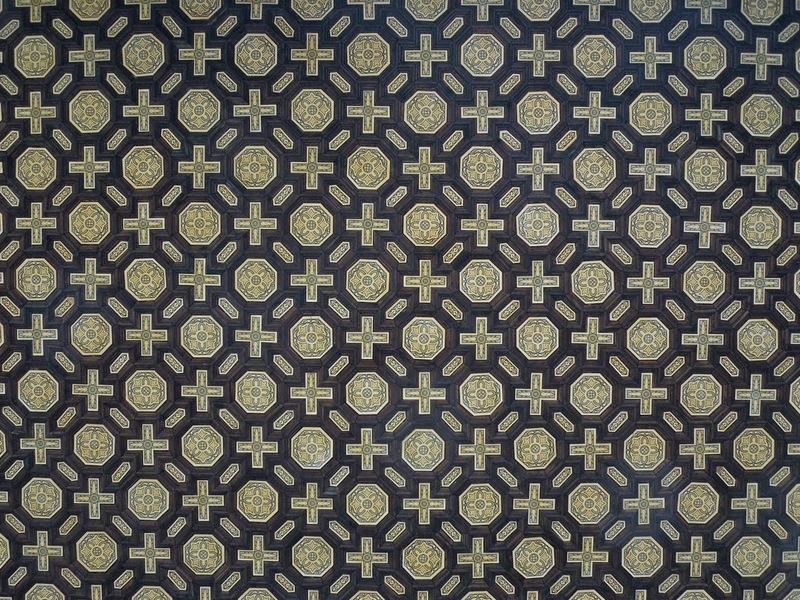 In true Spanish tradition albeit with an Art Deco twist, the ceiling of the loggia is beautifully patterned. 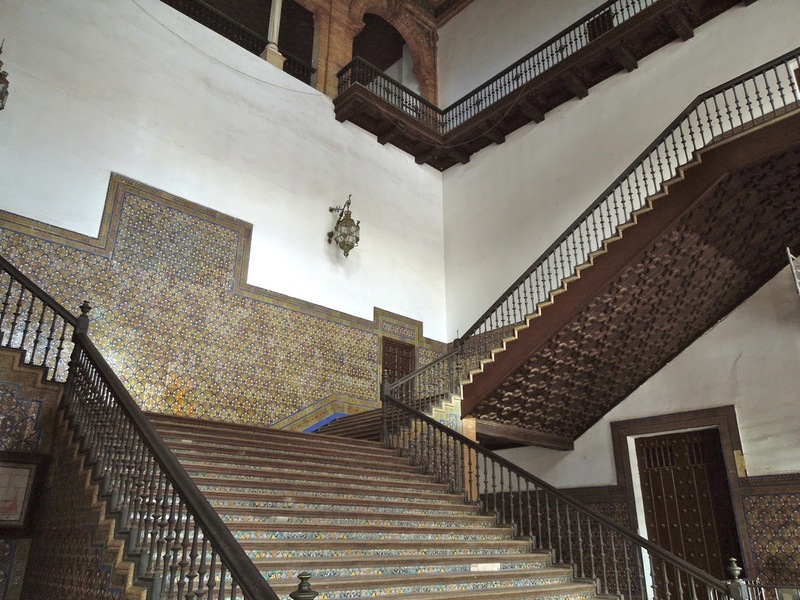 Lets step inside the main building to the central staircase, setting of many Spanish weddings. The image below shows why! 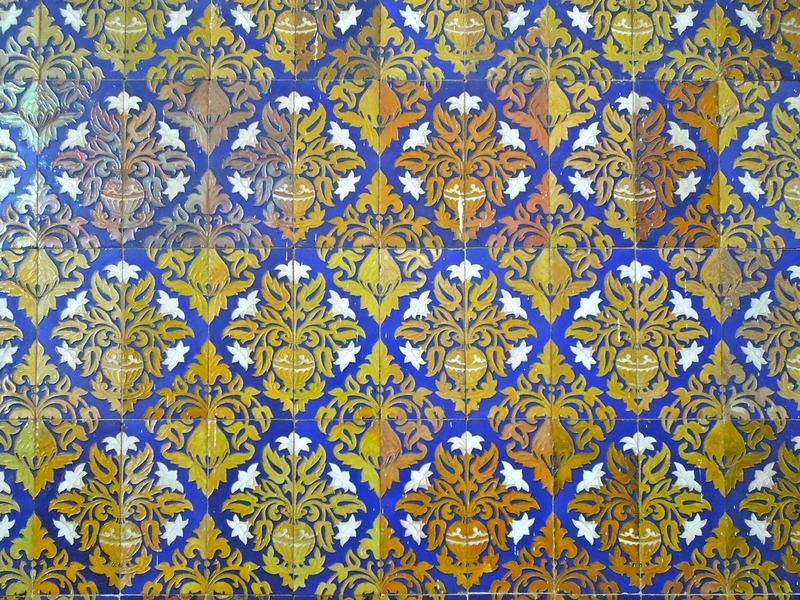 The tilework of painted encaustic tiles is beautiful and lends human scale to the otherwise massive stair. 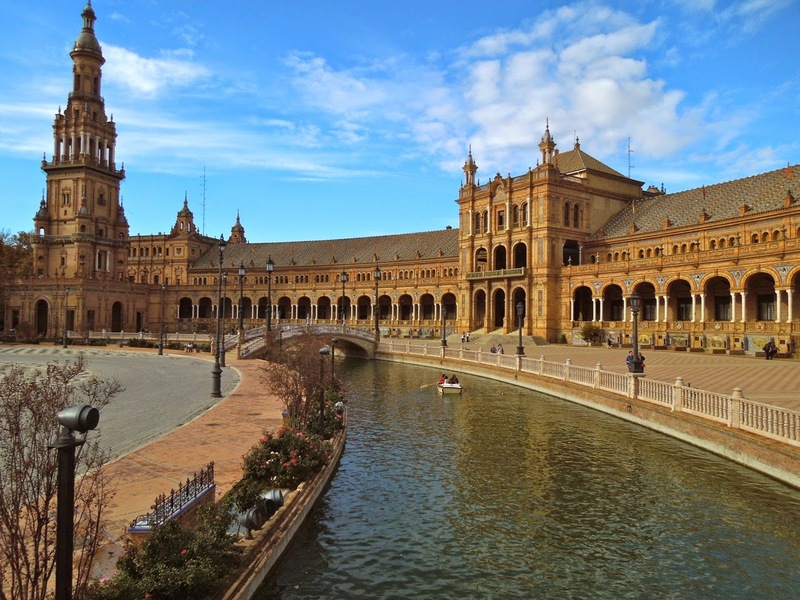 As if one needed another reason to visit sunny Spain, be sure to check out the Plaza de España in Seville!